A solid 14k medal would be a great gift for a baby or an adult. It was made in Italy. Chain NOT included. All prices are in Canadian dollars. 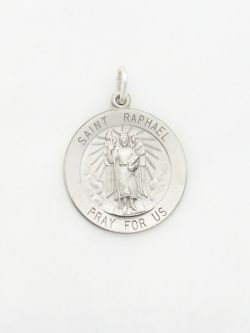 A solid sterling silver St. Raphael medal would be a great gift for anyone who is devoted to the Saint or with the name Raphael. Chain NOT included. Diameter of Medal: 21.75mm* Total Length of Medal: 29.25mm* *all measurements are approximations. All prices are in Canadian dollars. 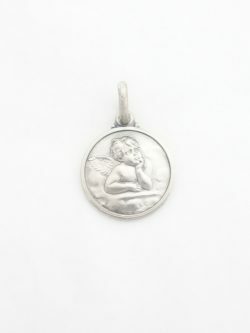 A solid sterling silver medal would be a great gift for a baby or an adult. It was made in Italy. Chain NOT included. 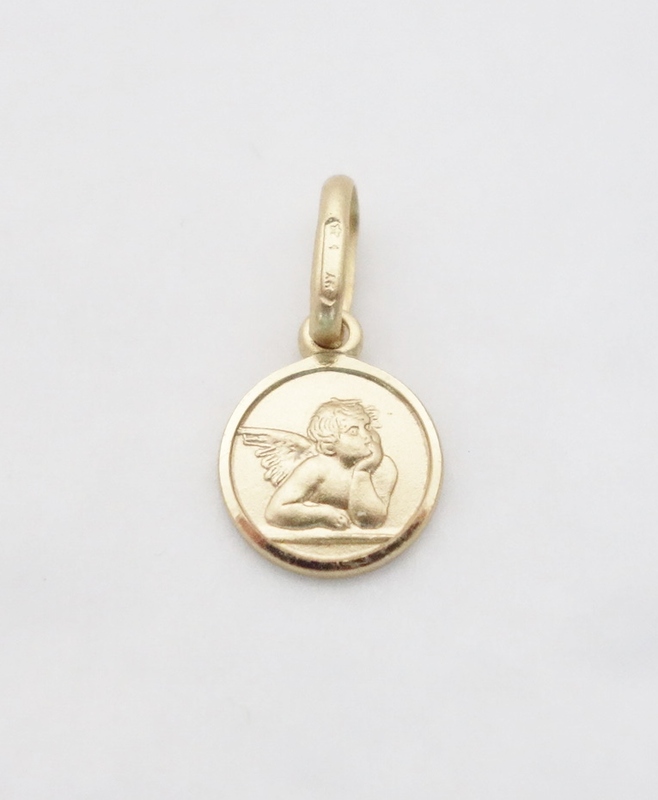 Diameter of Medal: 18mm* Total Length of Medal: 26mm* *all measurements are approximations. All prices are in Canadian dollars. 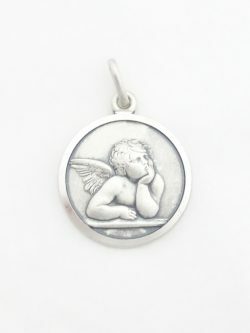 A solid sterling silver medal would be a great gift for a baby or an adult. It was made in Italy. Chain NOT included. Diameter of Medal: 14mm* Total Length of Medal: 21.5mm* *all measurements are approximations. All prices are in Canadian dollars. 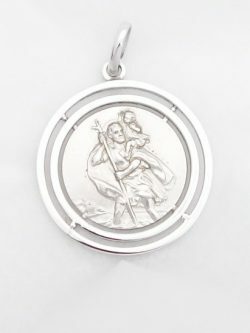 A solid sterling silver St. Christopher medal would be a great gift for anyone who is devoted to the Saint or with the name Christopher. The medal was made in Italy. Chain NOT included. Diameter of Medal: 28.5mm* Total Length of Medal: 39mm* *all measurements are approximations.